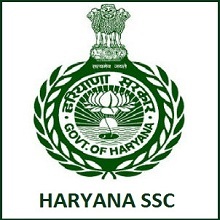 Haryana Staff Selection Commission (HSSC) has recently announce about the Recruitment of 282 Posts of Fire Station Officer, Sub-Fire Officer, Tabla Player, Junior Lecture Assistant & Laboratory Attendant. Many Interested Candidates Filled there Online Application form. The Process of Submitting Application form will be Conducted from 01.01.2018 to 22.01.2018. Here the Details about the Detailed Recruitment is Provided on the Below Table. The HSSC will conduct the Exam for the above Vacant posts. The Examination date will be announce Soon on the Official Website. The HSSC will Conduct the Written Exam for the above posts. More Details are as Provided Below. Candidates filled there application form successfully and Now they are waiting for there exam Soon the HSSC Will conduct the Exam. Candidates are worried for the exam because nowadays Competition Level become very high so Competitive Exams gets too tougher. Candidates facing Many problems in clearing the exam So, here we are providing the best prescribed and Suitable Exam Syllabus & Pattern. With the help of that syllabus candidates can easily clear the Exam of Above Post. The.written examination will be either on OMR Sheet based or online computer based (CBT). Written exam will be of 90 Marks & Socio-Economic criteria and experience will be of 10 Marks. The Exam Syllabus will be Provided soon on this Posts. Candidates Can do the Preparation on the Basis of there Previous Education/ Qualification. Candidates are advice to be in touch with the official website of HSSC for get the latest updates about Exam, Admit card and results related information. How to download syllabus of the same.